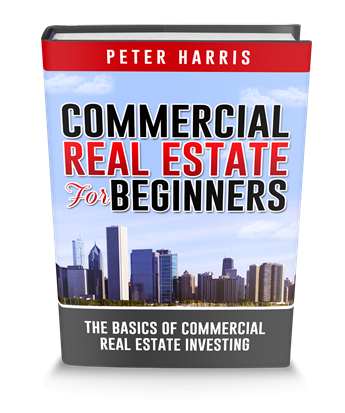 Do you know exactly how to get commercial real estate sellers to say YES to your offers? The last position you want to find yourself in, is to have a great deal and not know how to get them to say YES to your offer.Here’s a scenario: You’re on the phone with a motivated seller of a once in a lifetime commercial deal and they’ve just told you why they want to sell, what’s going on with the property and how their ownership of the property is affecting their personal lives. Those three pieces of information are probably the most important things you need in order to structure offers to motivated sellers and get them to say yes. The issue is, most average investors have no clue how to do this. That’s what this lesson is all about. There are two keys to working with motivated commercial real estate sellers. The first key is to work with sellers of off market deals. Off Market deals are commercial real estate deals that are not listed on the MLS, Loop Net, or anywhere else online. That is why they are called “off-market”, because they are not on the market. Some 90+% of the deals our company does are off-market deals. Those are the best deals when working with motivated sellers because there’s no agent in the middle, stopping the communication between you and the seller. The second key is to to acknowledge that there are two sides to every deal. There’s the property side and there’s the human side. We are going to look at the Human Side. Author Tony Robbins talks about the six basic needs in human life: Certainty, Variety/Change, Significance, Love, Growth, Contributions/Desire to give beyond themselves. On the real estate “human” side, there are six basic needs of every commercial real estate seller. Certainty: Sellers want to be sure that you are going to close their deal. They want certainty. Urgency: For example, in a commercial estate sales contract, we have contingencies that force you to put money in their earnest money deposit account if things are not moving along at an appropriate speed. You must have your financing in order, your inspections scheduled, and so forth, at an urgent speed. Urgency, needs to happen with a motivated commercial real estate seller. Gain: Gain is not only about the money, it is also about the actual selling of the property. People can even gain something by selling a property, with no profit. Every seller has a gain need. Make money or get rid of the property. To Be Understood: Every seller has a need to be understood and feel heard. You must understand why they are selling the property, what is going on with the property, and what’s going on in their lives. It is really important for you to understand what their needs are for you to get towards yes. Motives: Make sure that he seller’s motives are addressed. In a few minutes, I’m going to give you three really, simple but important questions to ask a seller. These questions can but very revealing and if you structure your offers around seller motivations, you’re going to create win/win deals. Trust: We all know what trust is, specifically that trust is not the same as certainty. For example, there could be a seller with $10 million in his pocket, but he could be untrustworthy. From a mentor mindset, you cannot do a good deal with a bad guy. Trust is really important. Trust is about relationships. 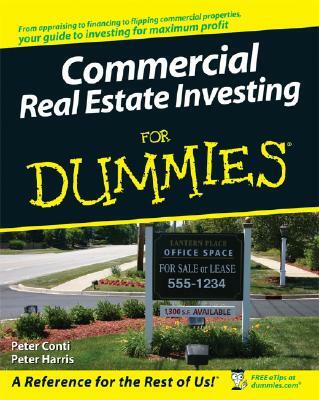 Commercial real estate is a relationship based business. Relationships are what help to funnel the deals, raise the money, and solve any problems that emerge. When working with motivated commercial real estate sellers, you must address all six of these basic needs. But what’s next? How do you extrapolate? What’s Prompting You to Sell? If You Were to Sell, What Would You Do With the Profits? Question 1: How Long Have You Owned the Property? If the seller says they have only owned the property for a year, that’s not really enough time for them to be a truly motivated seller. Once a seller reaches the seven year point, our company’s statistics say their motivation starts to grow. For this reason, seven years of ownership or longer is your magic number. Now, if they say they’ve owned it for 20 years or more, that means they are nearing the end of their mortgage or they’ve already paid it off. If they already paid off the mortgage and own it free and clear, than they can be the bank for you with a seller carry first mortgage, which is a technique that we teach in one of our previous blogs . It’s called How to Do Commercial Deals Without Bank Loans. I highly recommend you read that blog to learn techniques on how to buy commercial property without traditional bank loans. Question 2: What’s Prompting You to Sell? If their answer is it’s time to move on and do something else, that really means they’re not happy with their investment for some reason or another. It might not be performing the way they expected it to. If a seller says they are tired of managing the property, it really means, that the property is not making them any money. They could even be feeding their own money into the property every month. Being in a negative cashflow position can create a highly motivated seller. If their answer is that they’d like to retire, but will miss the monthly income, we have two solutions for that. We can use either of these solutions to purchase the property, but also, provide the sellers with some monthly income. The first solution is to use a master lease agreement. The second solution is a seller carry second mortgage,Really important you watch those videos after this blog, so that you can learn these techniques that will help close deals. Question 3: If You Were to Sell, What Would You Do With the Profits? The third question is if you were to sell, what would you do with the profits? If they say they want to buy a larger property, good for them. Wish them the best, and purchase their property. If the sellers’ are planning on retiring, that is the ultimate life goal, so congratulate them, and make them an offer. The number one roadblock answer a seller gives, is that they are unsure whether they would like to sell or not. Or that they are concerned about paying taxes on the profits they earn from selling. Our simple solution is to use a master lease agreement, to help them defer from paying their capital gain taxes for two, three, or even ten years.